This is music from the movie Lagaan. 1. Ghanan Ghanan: Unlike the one Bollywood cd I reviewed, the music in this one is crystal clear, not fuzzy sounding. This is excellent Bollywood-type music; male, female and group are merged together with good instrumental backing. 2. Mitwa: Another good, clear song using a variety of elements. Has a very strong feeling to it. 3. Radha Kaise Na Jale: This one is ok but no where near as strong feeling as the second song. 4. O Rey Chhori: A very mixed song since there is one person singing in English for part of the song; it's an important song in the movie since a lot revolves around what is going on with the three main singers. A good song, but it has some sad memories attached to it. 5. Chale Chalo: A neat song against with various elements all of which work well together. 6. Waltz for a Romance: Instrumental, waltz music. Has a few bars where it sounds like it's going into the theme from Jurassic Park which would make an extremely wild waltz. 7. O Paalanhaare: An interesting song with a more somber feeling than the others. Very good. 8. 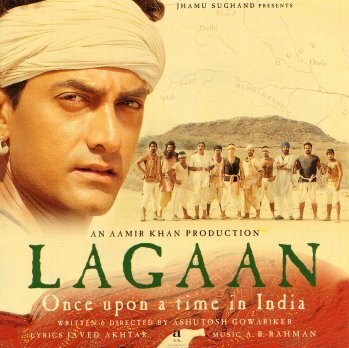 Lagaan.-Once Upon a Time in India: Sounds almost like something that would be found in a Conan-type movie. Parts seem very dissonant and there's a lot of choral-type singing. It's a dark-sounding song but still good.